In Medieval cloisters, where harmony was viewed as vain and sinful, chanting monks joined their voices in plainsong prayers, mindful of the warmth and communion to be found in singing together. Over the centuries, as the acceptable harmonic vocabulary grew from octaves to octets, the pleasure of blending voices has endured. The many forms that vocal music can take will be on full display at the Harmony Sweepstakes at the Marin Center's Veterans Auditorium May 6, the 22nd annual edition of the a cappella festival. Although by definition there are no instruments involved (vocal percussion is allowed), event producer John Neal dryly notes that "in all those 22 years, we've never had trouble finding groups" to perform at the festival. In substantial part, he himself has ensured such fortune by expanding the original event--an outgrowth of the community chorus that formed at San Rafael's Mayflower Inn--from its early days at Dominican College to a network of eight regional contests, held yearly around the country. The winners from the regional events come together for the San Rafael sweepstakes concert, which is hosted by the group that won it the year before. For the upcoming show, that's Groove for Thought, a jazzy sextet from the Seattle area. Judging for the Harmony Sweepstakes is done by a five-member panel of professionals, typically including members of well-known a cappella groups such as the Bobs or SoVoSo. And they're looking for more than just good intonation. Fully half of the scoring is based on performing skills. "If we were to just reward the pure singing talent, I don't think that we would necessarily be choosing the group most likely or most deserving to go on to greater success," explains Neal. Past winners have indeed used their victory as a stepping stone to greater things. The EDLOS (1989 winners) perform regularly throughout California and beyond; Toxic Audio (2000) did an extended off-Broadway run last summer; and Naturally Seven (1999) have recorded for Sony in Germany and Japan. "Even after 22 years," Neal notes proudly, "the majority of our national champs are still performing today." 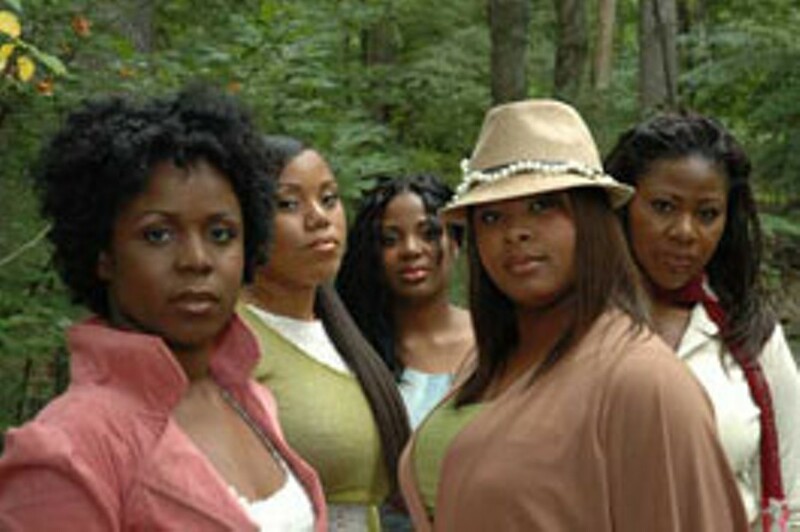 Traces: Female quintet from Boston blend gospel, soul and jazz in their arrangements. Curious Gage: A high-energy, five-member group from Ft. Collins, Colo., emphasize strong vocal percussion and rock-band intensity. Regency: Five guys who began singing together on Baltimore street corners nearly 20 years ago, Regency meld doo-wop roots with classic soul and Motown. This will be their third appearance at the Sweepstakes; they placed second in 2003 and 2005. Clockwork: The "hometown" entry, Clockwork are all about jazz, with complex arrangements that translate be-bop sax breaks into five-part vocal amazement. ElmoTHUMM: Formed as a quartet in 1998, the group added a fifth member two years later, and have been busy ever since. From Chicago, they feature oldies, R&B and classic rock. The odd name is their business. Hi Fidelity: Four slightly twisted guys from L.A. who are also members of the gold-medal winning Masters of Harmony chorus, they have been featured in a Roto-Rooter commercial and have won a list of awards. The only group willing to be photographed in matching vests and ties. Tongue-Tied A Cappella: This collegiate quintet traveled from northern Utah to capture the Pacific Northwest regional crown, riding on the strength of their original songs and distinctive arrangements. Round Midnight: Their name says jazz, but their sound draws heavily on the long-standing barbershop quartet tradition. All four members are music teachers in the Long Island/Manhattan area. Harmony Sweepstakes A Cappella Festival opens wide on Saturday, May 6, at the Marin Center's Veterans Auditorium, 10 Avenue of the Flags, San Rafael. 8pm. $29.50. 415.499.6800.